Please rank the behaviors listed from the least to the most violent. 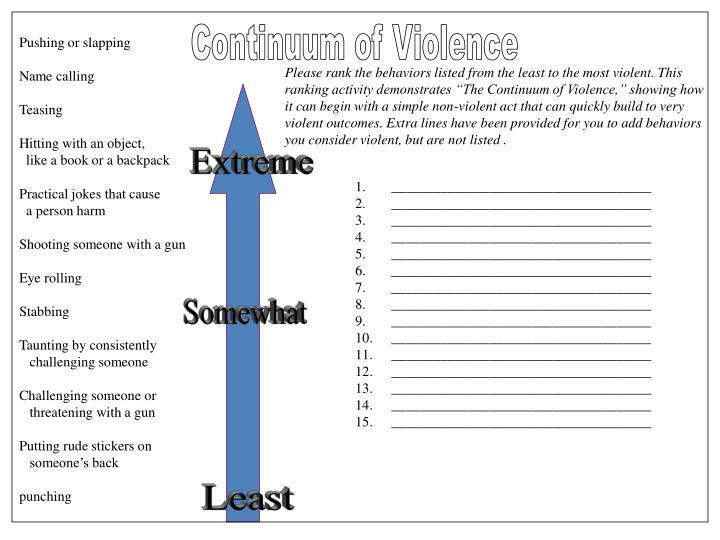 This ranking activity demonstrates “The Continuum of Violence,” showing how it can begin with a simple non-violent act that can quickly build to very violent outcomes. Extra lines have been provided for you to add behaviors you consider violent, but are not listed .